← What is a bedroom? Are you being duped into replacing your HVAC system instead of just changing refrigerant? Do you have a choice of replacement for the R-22 Refrigerant in your HVAC system? 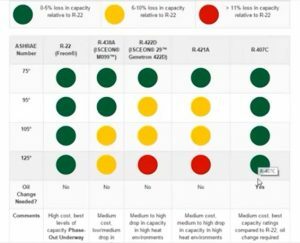 First, I am not an HVAC expert and I didn’t sleep at a Holiday Inn last night, but are we being duped into replacing out HVAC systems in our homes instead of simply replacing the existing R-22 in our systems? I was told by an HVAC technician years ago that HVAC systems use different metals to connect the circulation system and over time, those metals interact to develop leaks. I can’t verify that statement, but several older systems, designed as “closed systems”, mysteriously develop leaks in copper tubing or at connection points within the system. Watch this video: What is RS-44b ( R453a ) Refrigerant and Should You Use It? 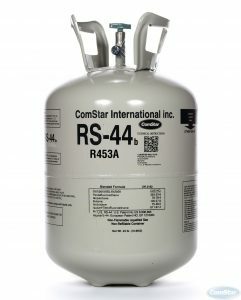 RS-44b Refrigerant is an R22 Replacement. Also, After many years of testing and investigation, R407C is recognized as a suitable alternative refrigerant for R22 in medium and high temperature applications such as residential and light commercial air conditioning. So, are there alternatives to HVAC companies “scaring you” into selecting new HVAC systems and changing out your older system to a newer one? It appears so, but if you want a more efficient HVAC system in the future, you may need to replace your current system to achieve those benefits.